The 12th grade students who have accomplished their goals in Champions For Learning programs were celebrated in a Countdown to Cap and Gown Celebration, presented by BMO Harris Bank, on April 11th at the Naples Beach Hotel and Golf Club. More than 450 people—board members, school staff, donors, volunteers, mentors, parents, and alumni joined to celebrate the 95 seniors representing 11 high schools participating in the Take Stock in Children and College and Career Preparation programs of Champions For Learning. The Champions For Learning Class of 2019 was named in honor of Claudine Leger-Wetzel for her leadership and commitment to the mission of Champions For Learning which has spanned almost 14 years and represents her personal dedication and passion for education, along with the her professional role with Stock Development sharing their commitment to education. The student program support is generously provided by many donors and in particular, thank you for the incredible generosity from the Richard M. Schulze Family Foundation, Take Stock In Children Foundation, Florida Prepaid Foundation, Naples Children and Education Foundation, Suncoast Credit Union, and the School District Education Foundation Matching Grant Program through the State of Florida and Consortium of Florida Education Foundations. In addition to BMO Harris Bank as presenting sponsor, these sponsors also helped to make the evening celebration possible: AT&T, Gulfshore Insurance, Naples Beach Hotel & Golf Club, and Naples Daily News. If you would like to make a financial contribution to help Champions For Learning earn matching scholarship dollars for next year’s class, or you would like to get involved as a mentor, please contact Champions For Learning at 643-4755. Congratulations to Our New College and Career Preparation Program Inductees! On December 3, Champions For Learning inducted 65 11th grade students into the College and Career Preparation Program. This program is provided at no cost to students and families thanks to the generous support of the Richard M. Schulze Family Foundation. 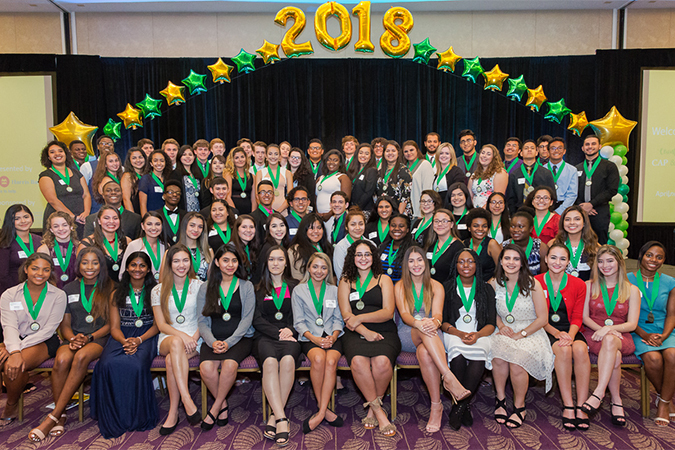 The Suncoast Schools Credit Union Foundation is partnering with the Champions For Learning to offer five of $2,000 scholarship awards to high school graduates in the Class of 2019. 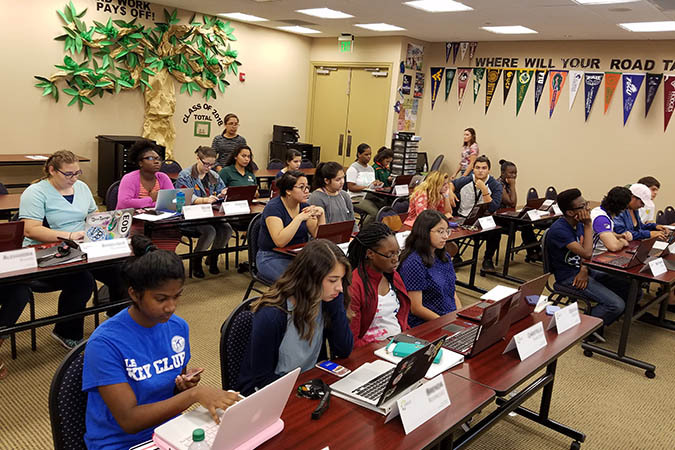 Class of 2019 high school graduates in Suncoast Credit Union’s 21-county service territory have the opportunity to apply for financial support to continue their education, thanks to a $116,000 investment in scholarships by the Tampa-based credit union’s Foundation. 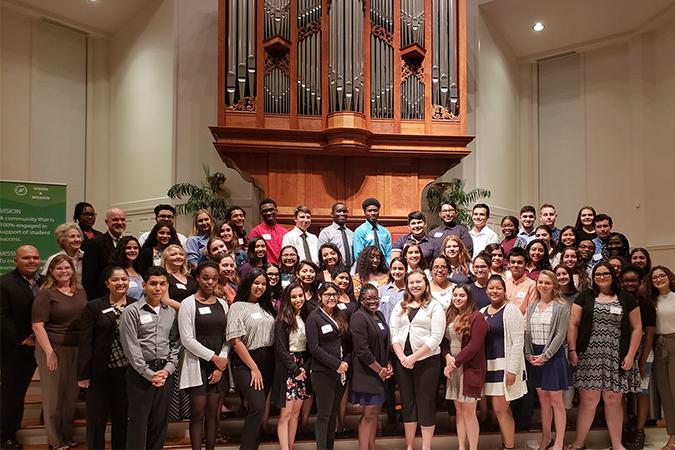 This year’s Suncoast Credit Union Scholars program represents a continued philosophy of the foundation to support education initiatives and the well-being and potential of children. Since its inception in 1990, the Foundation has contributed more than $22 million including more than 600 student scholarships valued at nearly $1 million. All applications must be received by 5pm on January 11, 2019 at the Champions For Learning office, 3606 Enterprise Avenue #150, Naples, FL 34104. Champions For Learning is proud to announce their 2018-2019 Night of Champions honorees. These honorees are being recognized at the Night of Champions event on Friday, February 1, 2019, at the Naples Grande Beach Resort. These individuals will be honored for their impact on the lives of students through mentoring, leadership, collaboration and community involvement with educators or students. These honored Champions exemplify what it means to make a commitment to our students and their future. Proceeds for this event will support Champions For Learning student programs including College & Career Readiness programs and scholarships. Chuck Carlsen, Vice Chair, Owner / CEO – Fluidall, Inc. 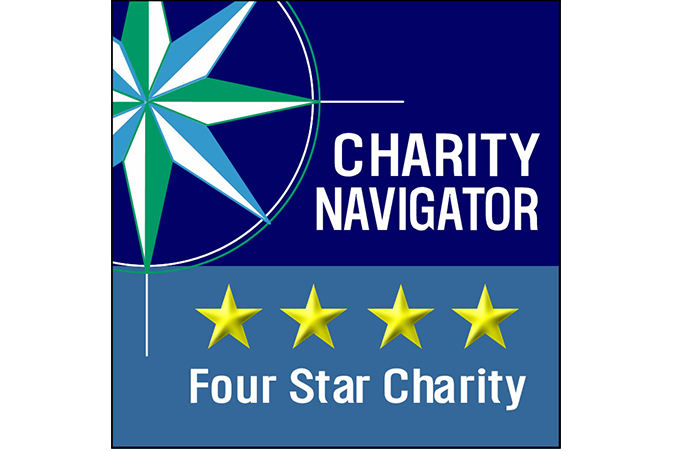 Champions For Learning (The Education Foundation of Collier County) has recently been awarded a 4-start rating from Charity Navigator, America’s largest independent charity evaluator, for its strong financial health and commitment to accountability and transparency. 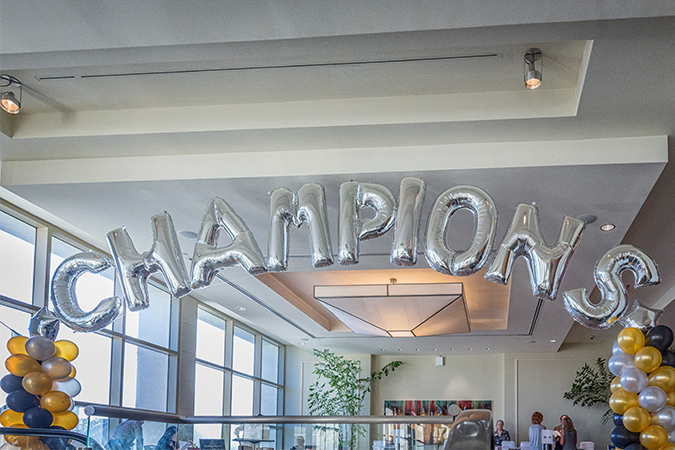 This is the sixth time that Champions For Learning has earned this top distinction. The 4-star rating is the highest possible rating and indicates that Champions For Learning adheres to sector best practices and executes its mission in a financially efficient way. Champions For Learning is among only 23% of the charities evaluated who have received at least 3 consecutive 4-star evaluations, indicating that Champions For Learning outperforms most other charities in America. 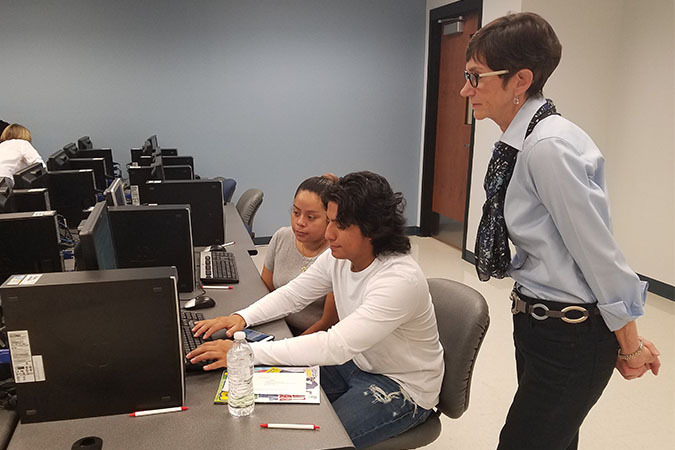 Champions For Learning would like to encourage students in 11th grade, from public or independent high schools, to apply for the College and Career Prep Program. Click here to download an application and eligibility information. Applications are due October 12. 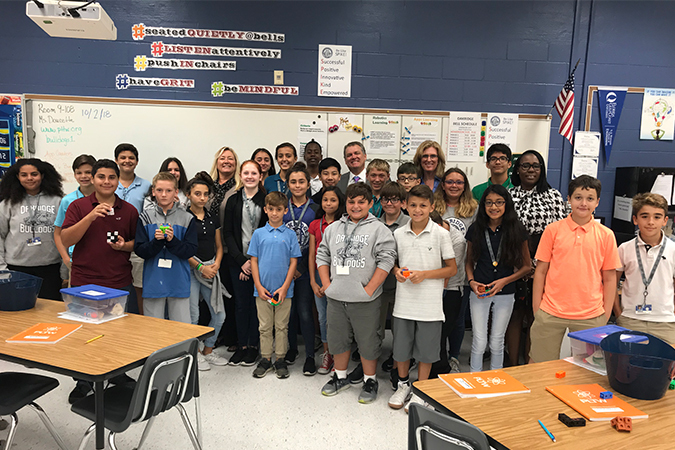 Collier County teachers were surprised by Champions For Learning board members, volunteers and supporters as they received funds for their classroom grants. During the course of the day, Champions For Learning awarded 118 grant checks that totaled $66,867 to 38 schools. The checks will provide teachers with the funds needed to implement creative and innovative learning experiences for students. Click here to see a list of the teachers. These classroom grants were requested by Collier County teachers through the online grant portal on Champions For Learning’s website. The community can go to the website and fund requests (up to $2,000). This online grant program began in 2003, to enable the community to support teachers. 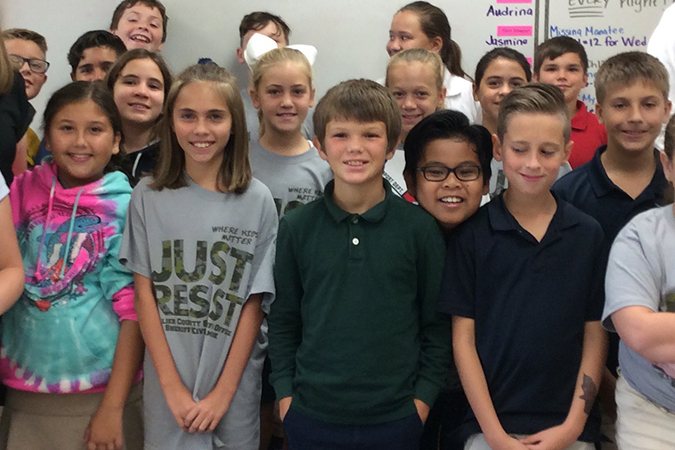 Thanks to a charitable gift from Suncoast Credit Union, which supports the technology and capacity for the classroom grant portal, 100% of community contribution goes into supporting teacher grants. The following provided significant contributions to fund specific teacher grants: Suncoast Credit Union, Florida License to Learn License Plate Fund, Lucie Jenny MacCarthy Music Fund of the Community Foundation of Collier County, Perna-Rose Foundation for Hope, W.I.N.G.S., and Seminole Tribe of Florida. Help provide life-changing learning experiences to students! There are still opportunities to fund a teacher’s great idea. Click here to support local classrooms today! You can also help fund Classroom Grants through the License to Learn Fund (Florida Education Tag). Collier County community members can buy the new version of the tag in late October. $20 of the annual $25 fee is donated to Champions For Learning and 100% of the funds support classroom grants. 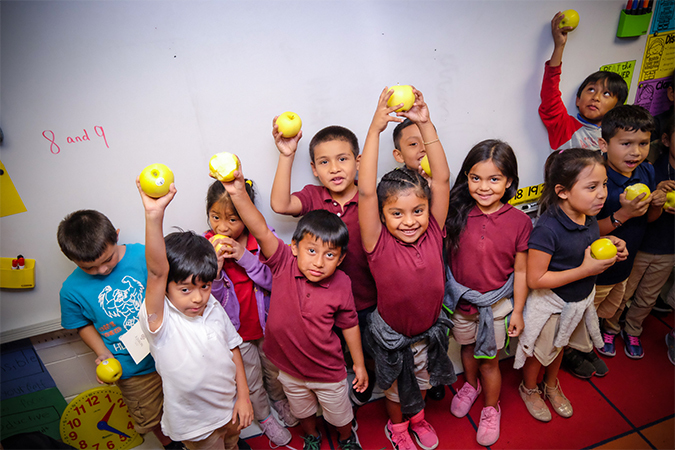 Strong financial health and commitment to accountability and transparency have earned Champions For Learning (The Education Foundation of Collier County, Inc), a 4-star rating from Charity Navigator, America’s largest independent charity evaluator. Want to support our students with your time? Here are a few volunteer opportunities that can fit any time commitment. Take Stock in Children Mentor: Give guidance to the same student and change their life with the gift of your time (a minimum of 15 sessions a school year). Your ticket for the: Calling All Volunteers!